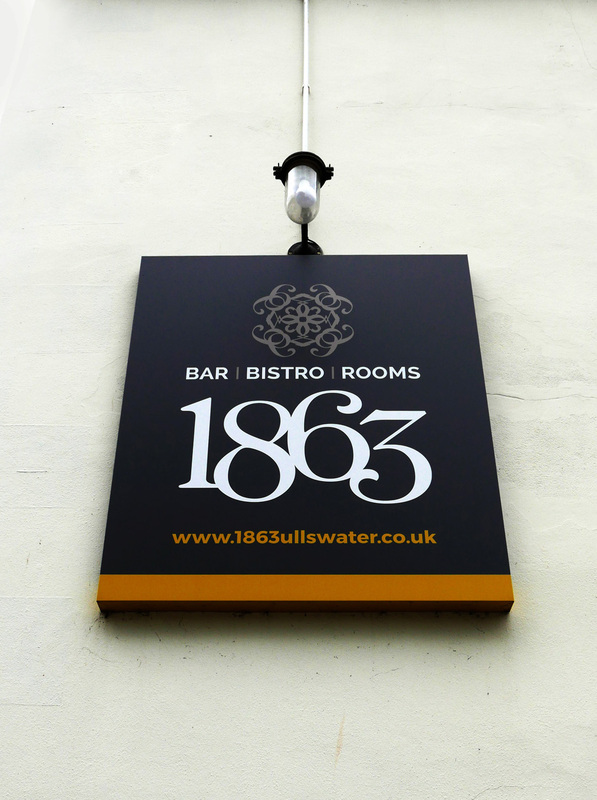 1863 Bistro and Bar sits in the Cumbrian village of Pooley Bridge on the fringes of Ullswater (it`s not a Lake) . The property was originally the village Blacksmiths shop , later becoming the Pooley Bridge post office. 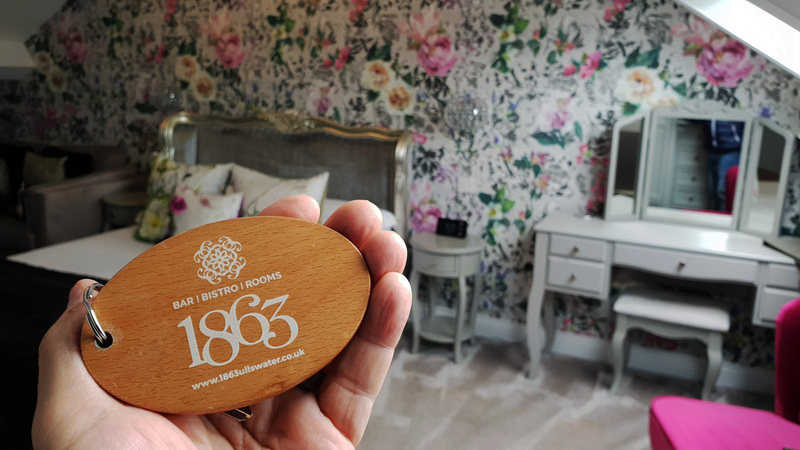 Only recently (2016) it was transformed into what it is today – 1863 Bistro and Bar with rooms. The rooms are all uniquely designed and all very different. We were in a loft suite , totally spotless in every way. 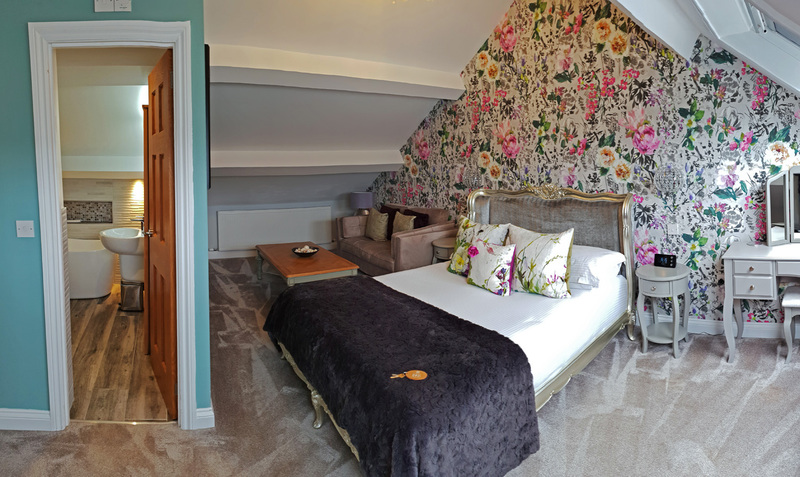 There wasn`t a view from the roof mounted windows but our top floor room treats certainly made up for that. 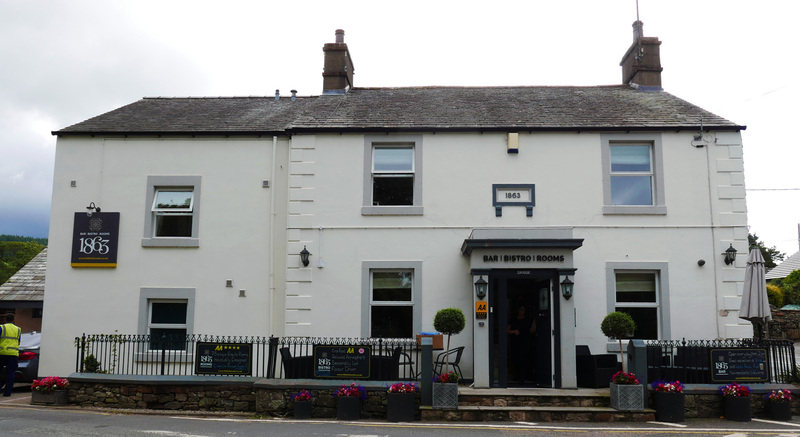 Ullswater is only a 5 minute walk , the views down the valley are stunning and you`ll have the added bonus of a couple of extremely homely country pubs selling fine local Ales in Pooley bridge village on the way to the waters edge. 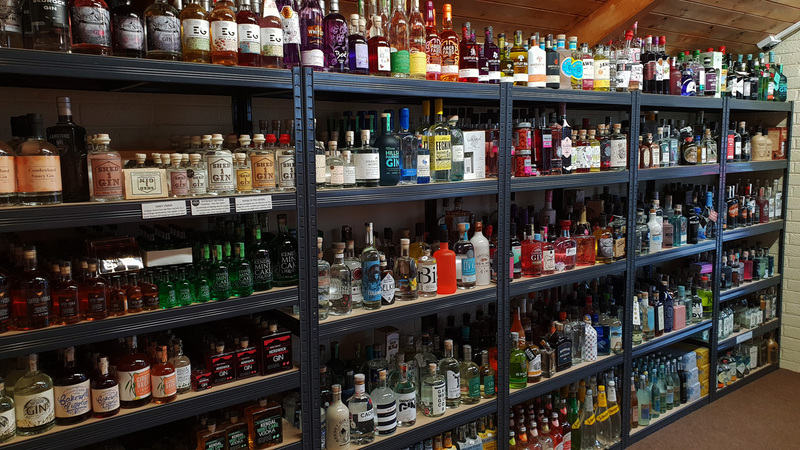 I feel that I should mention there`s a superb little shop in the village called Chestnut House (don`t blink or you`ll miss it) that sells up to 500 bottles of Gin. We managed to get a mini tasting off the lovely staff and came away with the shops best seller – Zymurgorium Sweet Violet Gin which I was told sells up to 70 bottles a day when new stocks arrive. Once again I have Instagram to thank for another new Cumbrian discovery. It`s now extremely popular for Chefs all over the World to post photos of their kitchen creations on to their social media accounts .It definitely works wonders when it comes to putting bums on restaurant seats. 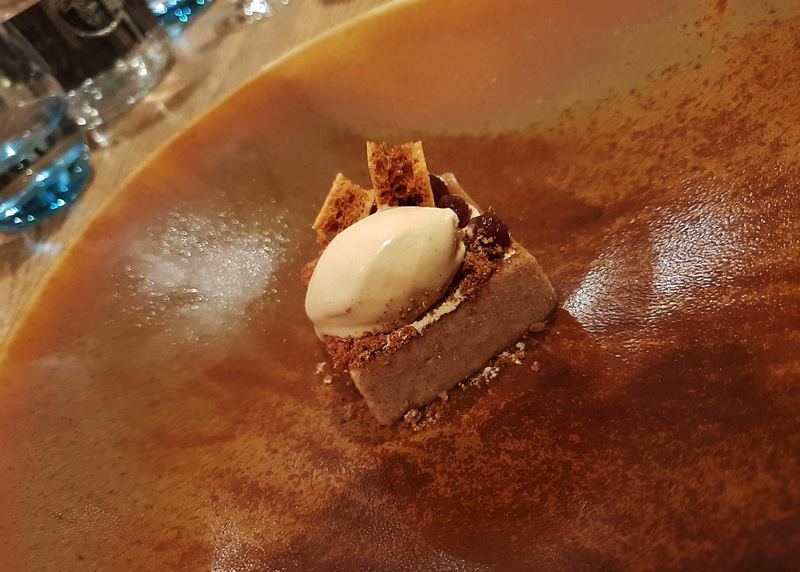 I spotted a stunning looking dessert on Chef Phil Corrie`s Instagram account , checked him out and then booked straight in to 1863 to sample the beautiful pud for myself . Twenty five year old Chef Phil is another talented young graduate from Kendal catering college with a great attitude to his trade. 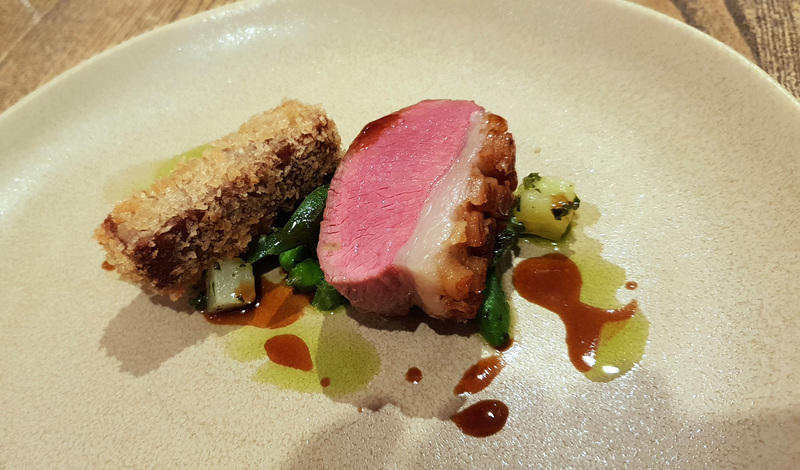 The food at 1863 is all seasonal and delivered from Kitchen gardens and local suppliers daily. 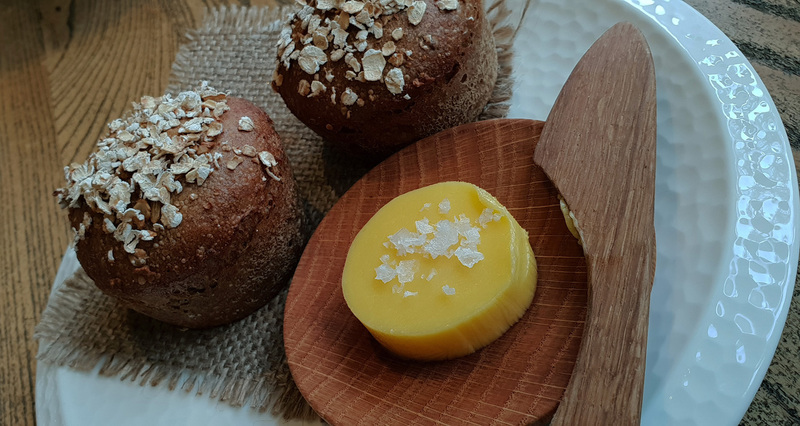 The kitchen team are proud to make everything on the premises including their beautiful free range Butter and stunning Bread and as much as possible is freshly cooked from scratch. Chef Phil explained that he runs an individually priced ALC menu but asked me to consider the 6 course Tasting menu priced at £60 to get a better idea what the kitchen was all about. So…Tasting it is then. There`s also 2 Wine pairings available to compliment the food . A Classic Wine pairing at £30 and better quality Signature wine pairing priced at £45. We opted for the latter. 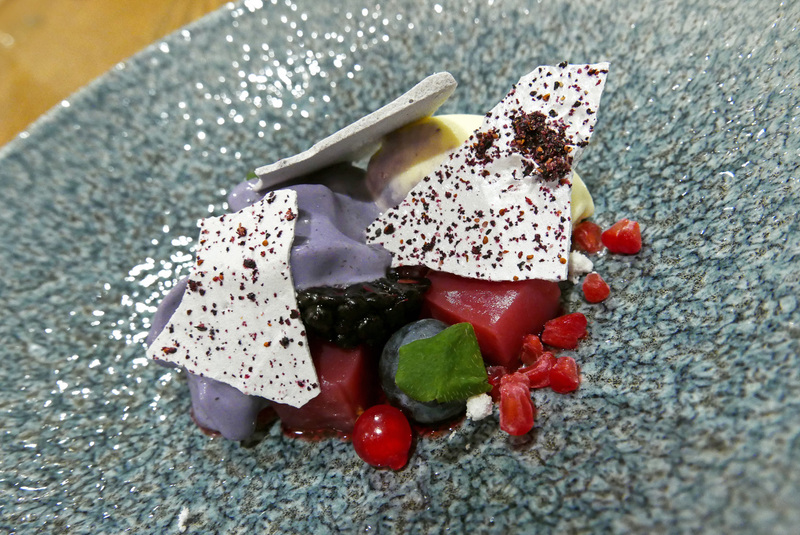 AMUSE – A complimentary course from the kitchen – Purple Potato Salad. Great little appetiser which I would rather have over canapes. Simple and good flavoured produce. 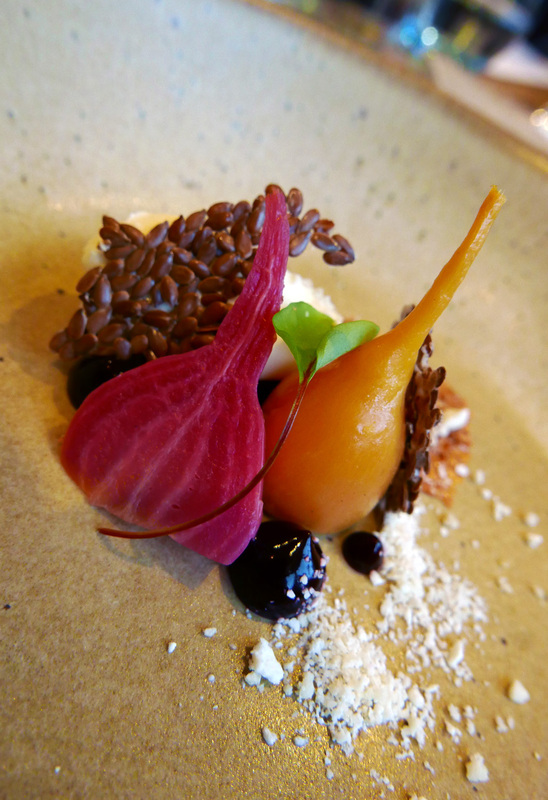 BEETROOT , RAGSTONE AND LINSEED – Nice classic combination of tart Red and Yellow Beets , creamy Cheese and nice texture from the linseed cracker. 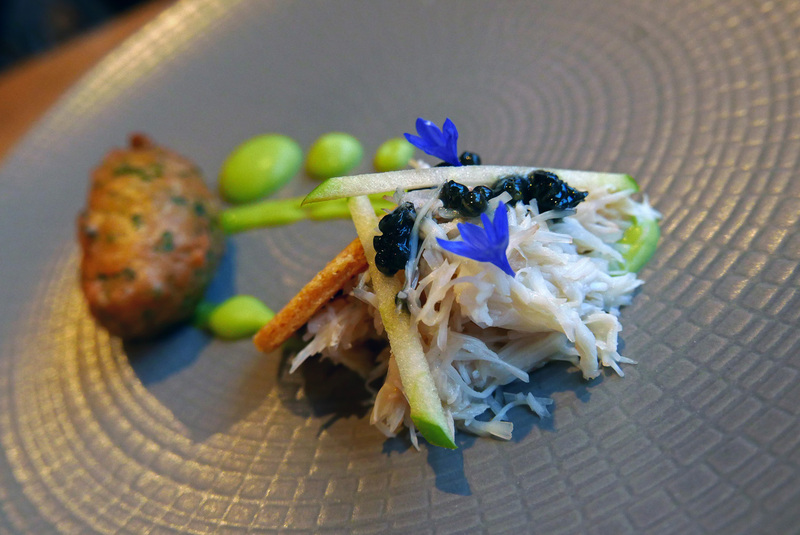 RAVENGLASS CRAB , BEIGNET , YORKSHIRE CAVIAR , LOVAGE – The Crab dish was faultless. I found the food presentation of the full tasting menu was precise , delicate and beautifully constructed but on the whole and being a Cumbrian lad I would like to have seen larger servings. 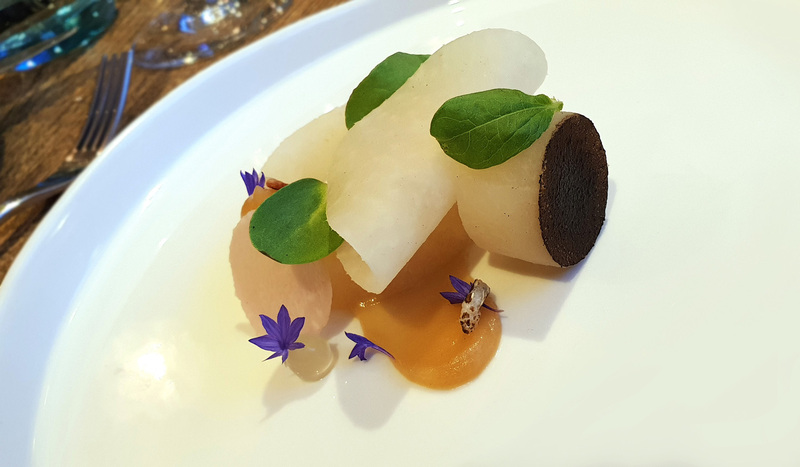 VEGETABLES – YORKSHIRE KOHLRABI , BURNT APPLE , YUZU- The seasonal fruit and veg were cooked well but the overall dish needed a “fat” boost , a cream/mayo/emulsion/mousseline / crème fraiche / curd cheese type element would have complemented the Apple and Kohlrabi beautifully. 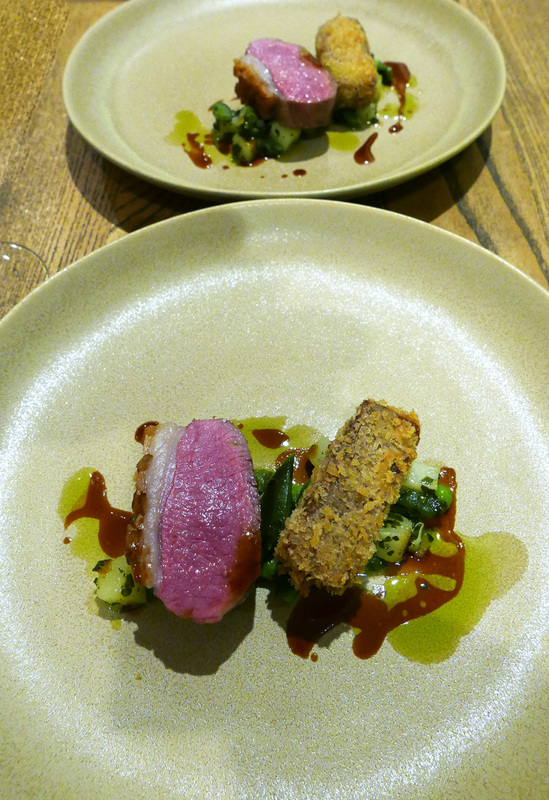 LAMB – LAMB FAT POTATOES , RUNNER BEANS , GREMOLATA – Lamb was cooked to perfection , the seared fat was amazing . Just needed another few slices as it was so good. Best course of the evening for both of us. 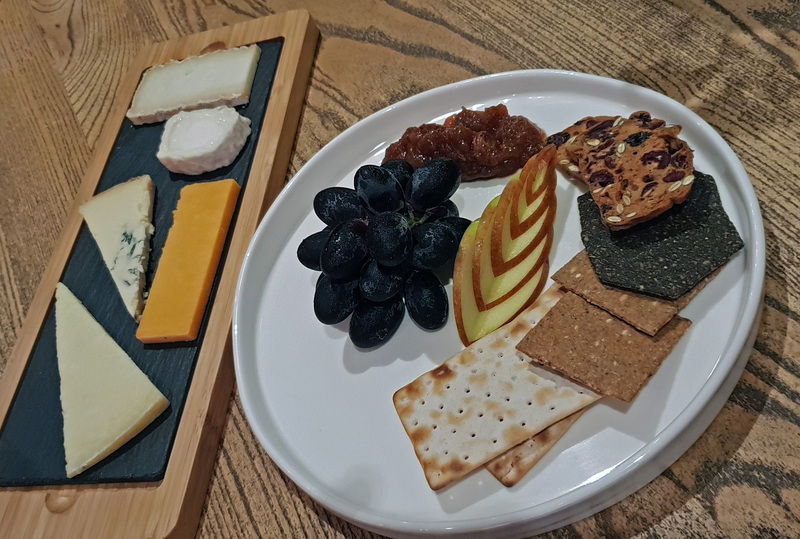 CHEESE – ARTISAN CHEESE SELECTION. (£12.00 Supplement) Nice end to the meal with a few simple Cheeses and accompaniments. 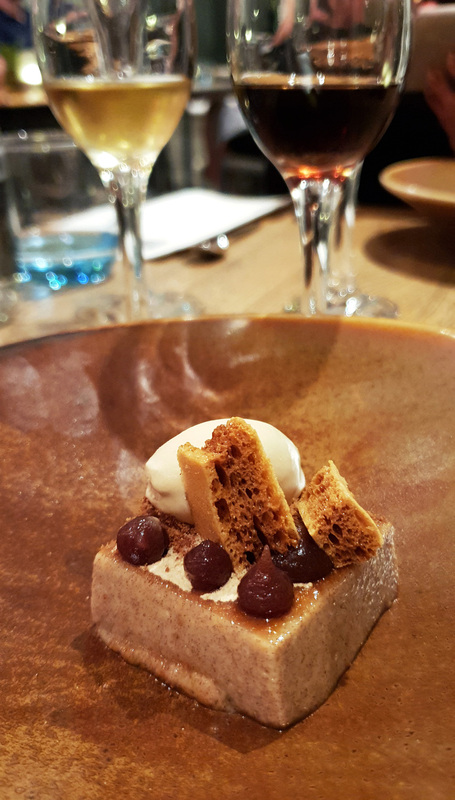 FOOD – Overall it was a really enjoyable evening from an ultra-keen Restaurant team eager to put 1863 on the culinary map. The huge Wine servings paired with the tasting menu clouded judgement severely by the end of the meal. Apologies to Chef Phil if I was talking 30 minutes of total crap after dinner. 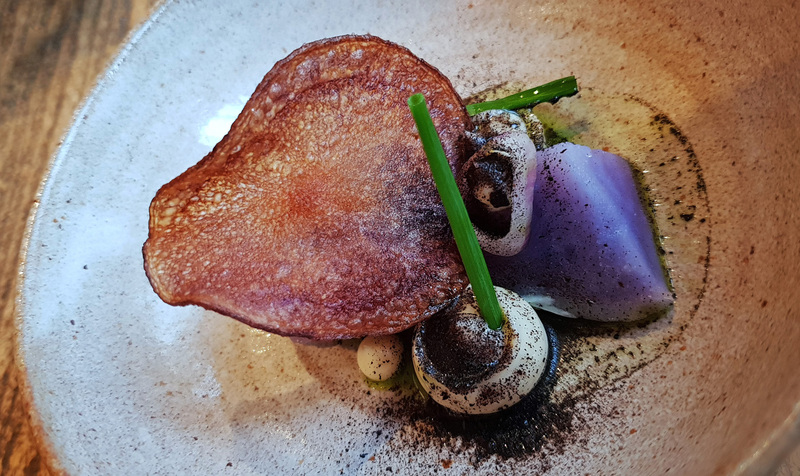 Its early days on the 1863 Tasting menu and a few minor tweaks are needed here and there to raise the bar to the next level. 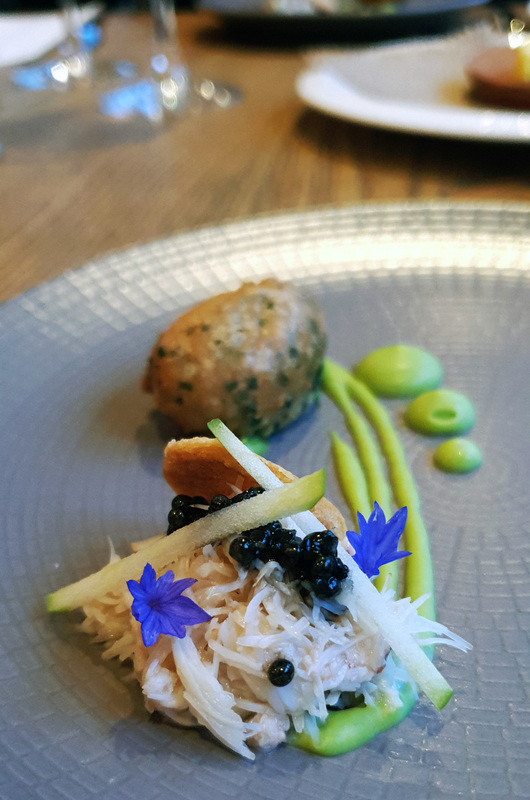 A Fish course would be a big plus on the Tasting menu to balance it all up but generally , it`s a big thumbs up for the hardworking and dedicated team. 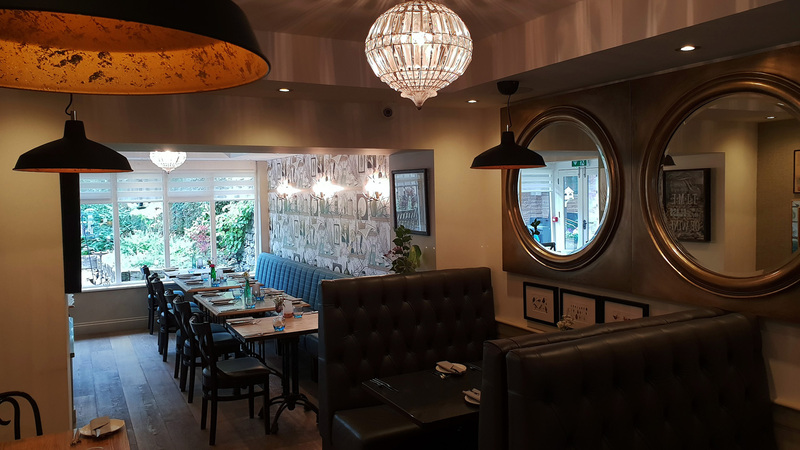 SERVICE – was really friendly , plenty of genuine smiles and the staff had knowledge of each course as it was delivered. Couldn’t fault it. 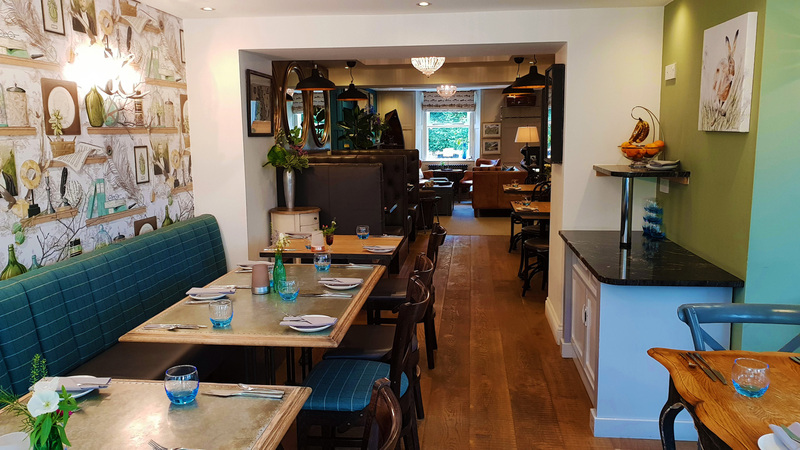 ROOM AND BREAKFAST – The business owners are Mark and Anne, a lovely couple from Blackburn are really eager to please the guests and offer a friendly welcome with lots of smiles and “good craic”. The hotel has faultless rooms , clinically clean and very homely hotel. The cooked Breakfast ingredients are all locally sourced. The Autumn and Winter menus should prove interesting so watch this space , we shall return. Thanks guys. Previous Post Summer at the Samling , Windermere. 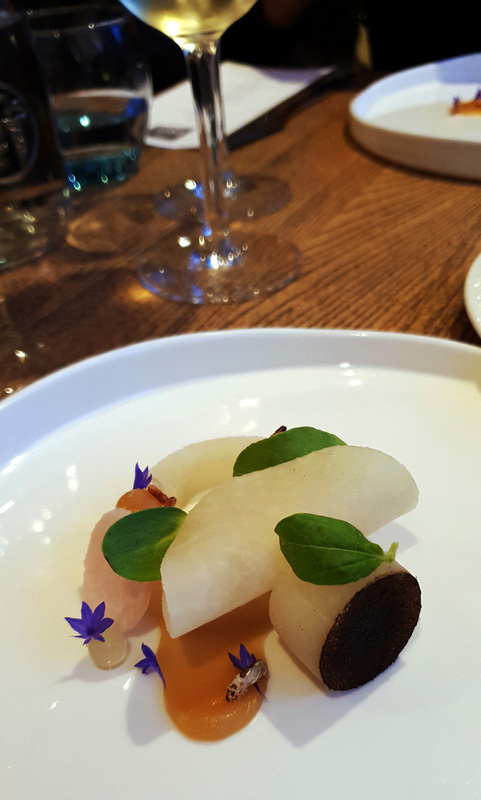 Next Post Bibendum , London – As good as they say it is ?